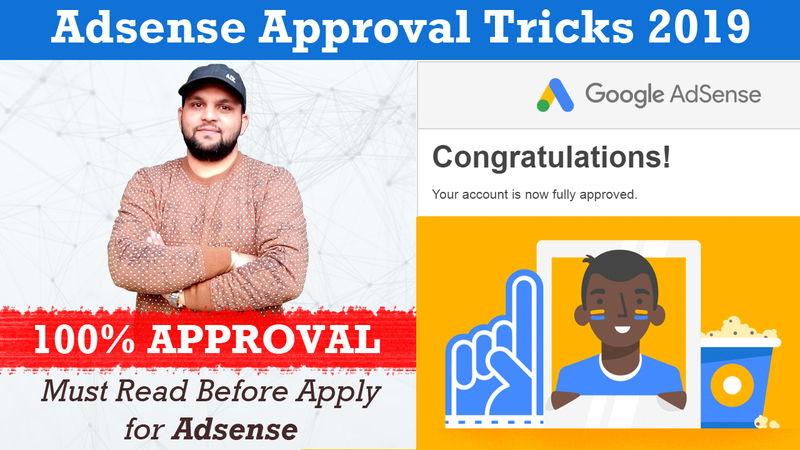 How to Get Fully Approved Google Adsense Account [Trick 2019] - Web Technical Tips - Full Information About Internet ! Top Way to Get Google Adsense Account Approval Instant. Hi Friends, In this post, I'll tell you how to apply for Google Adsense Account, share some Best Tips & Tricks to get approval for Adsense account. Mostly blogger writes good content, rank their page to search engine, but after 1-2 month when they try for Adsense and not getting Adsense approval then they demotivate and some of the bloggers quit their blogging career. but I am sure, after reading this article you must able to Successfully approve your Adsense account by your self. I am sure you all daily search on google how to get Approval of Adsense account, but when you click on search result not getting your answer. But in this article I share some most important steps, if you follow all steps then your chance to Adsense approval increase. 1. Domain Names: Mostly blogger doesn't want to spend any single amount on their new blog, but custom Domain is playing the main and major role to get Adsense Account approval. You Can buy any custom domain name from Godaddy, Bigrock, Hostgator, Bluehost or whatever you have in your knowledge. 2. Website Designing: Website Designing is also playing the main role for approval in Adsense. 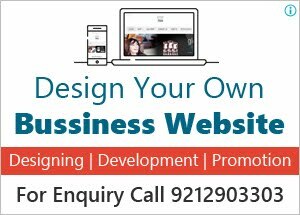 you have to mind some points when you design or develop a website from any designer. 3. Important pages: For Google Adsense Approval you have to create some important pages, which is mandatory. About us page: About us for more information about the blog or author. Contact Us: Contact page, give your email id or contact number, so that your reader contact you directly if they need. which is increase user trust factor. 4. Post Content: Content is king if you want to earn through your blog, you have to write good content. because if your content is fresh and unique then you have to advantage, google index and show your page in a search result. Don't copy content from another blog, mostly new blogger doing this mistake. so always write fresh content. Try to write at least 10-15 post before applying. 5. SEO Friendly Post: Before Posting any Post, you have to research keyword related to your Category. if you find the right keyword for your article then you have to chance search in google result. if you write SEO friendly post then you have to chance to get Organic traffic which is useful for user and also love by Adsense. 6. Don't use other Ad Network: Mostly new blogger use so many networks before applying for Adsense, like Revenuehits, Infolink, Chitika, yahoo ads and so many. but make sure when you apply for Google Adsense, remove all networks ad from your blog. 7. Don't buy traffic: Mostly new blogger makes this big mistake which increases the chance of rejection in Adsense. Because Adsense is very strict for their advertiser. AdSense always try to give better result to their advertiser. if you buy traffic then Google never approves your Adsense account. Instead, you can join Multiple social media platform to get genuine traffic to your blog. 8. Submit Your Sitemap: Always create a sitemap for your blog and also submit your sitemap to google webmaster tool ( Google Search Consol). After submission, your blog, post, content, image all data index by google and you post rank in google instantly. So the sitemap is very important for your blog. Also, Submit your website to the bing search engine for increase your visitor. Use these useful trick to get approval Google Adsense account. Now I hope you all understand the Adsense requirement for approval. so kindly follow these steps and get your fully approved Google Adsense Account, after that earn money with you organic traffic. If you like this post then share with social network button at the bottom, also make comment if you have any query. Thanks for your time, Have a Nice Day ! !